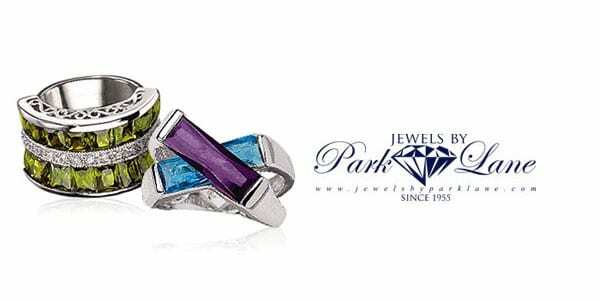 Founded in 1955, Jewels by Park Lane has become the world’s leading direct sales jewelry party plan company. By offering exceptional quality and an unconditional guarantee in addition to a Five Star Hostess Program, Park Lane has given many the ability to have their own home based business which is backed with a more than 50 year history. Jewelry often tells a story about the person wearing it – whether it expresses their mood or personality or just shows their fashion sense, giving the gift of Park Lane is always a smart choice. Independent Park Lane Consultant Marianne Calabrese is being showcased in our 2014 Christmas in July event here at Party Plan Divas and sent me a beautiful piece to be reviewed and showcased. I received the Solara necklace. This beautiful piece is a sunburst of sparkling Austrian crystals which is suspended from a silver chain. No matter how hard I tried – I could not capture the beauty of this piece in pictures. The sparkle is unlike anything I have ever owned before. The silver chain is approximately 16” and has 3” of adjustment to make it a perfect fit for anyone. The Solara necklace is stunning with simple summer dresses or pair it with your little black dress for a night on the town. Either way, you are sure to turn heads and receive compliments from everyone you encounter. From Clip on Earrings, to pins, rings, watches and bracelets, Park Lane can accessorize any age and any personality. When you Host your own Park Lane Jewelry Party you are opening the doors to not only introducing your friends to the beautiful Park Lane jewelry collection but you are also setting yourself up to earn free and reduced priced pieces for yourself. With the 5-star Hostess Program you earn discount product purchasing opportunities, order credits as well as exclusive Hostess Collection products and booking rewards! By becoming an Independent Park Lane Consultant, also known as a Fashion Director, you will not only have the flexibility to choose your own schedule but you also take control of your income potential. Starting your own business costs as little as $39 and you are well on your way to building a full time career or just earning a little extra cash for your family.